An overwhelming air of average permeates throughout Jack the Giant Slayer, the latest in Hollywood’s recent obsession with refurbished fairy tales on the big screen. More on the creative end of Snow White and the Huntsman than the debacle that was Mirror, Mirror, this fantasy adventure is capably arranged by director Bryan Singer, who also made The Usual Suspects and the first two X-Men movies. Nevertheless, the pitch is no different than the “Classic Tale, New Twist” tagline of this year’s monumental dud Hansel & Gretel: Witch Hunters, in that it innovates on the original lore with a few flourishes here and there, but not enough to make the proceedings dynamic or interesting beyond its limited entertainment value. Add a lot of midrange computer-generated images and very common storytelling methods, and, despite an excellent cast of British thesps, the result never reaches beyond serviceable. Starting off slow, the film employs much setup before the farmhand Jack, here played by Warm Bodies star Nicholas Hoult, finally climbs his fabled beanstalk. 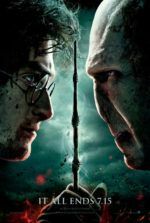 A storybook prologue sets the stage with shoddily animated marionettes that tell of an ancient war between humans and giants, the sequence a half-hearted nod to the animated flashback in Harry Potter and the Deathly Hallows, Part 1. The giants were forever banned to their kingdom in the sky, while the humans hold a secret crown, the wearer of which can render the giants subservient. This opening animated sequence looks tacked on, even slapdash and somewhat embarrassing to behold. Videogames have looked better—much better—whereas the film relays the same story over again in a perfect alternative: An orphan living with his uncle, Jack goes to the castle square to sell his family horse, but he stops to watch a dwarf theater exhibition (featuring Warwick Davis) that imparts the same human-giant legend, only to more entertaining effect. While watching, Jack defends the honor of a young woman, who turns out to be none other than the princess, Isabelle (Eleanor Tomlinson). One thing leads to another, and the adventure-hungry Jack and Isabelle are propelled into the sky on a swiftly growing beanstalk reaching to the giant’s kingdom. 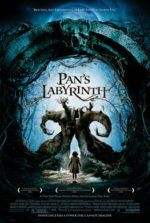 With Isabelle pinned down inside the beanstalk’s vines, Jack finds himself setting out on a rescue mission alongside the King’s (Ian McShane) royal guards Elmont (Ewan McGregor) and Crawe (Eddie Marsan), as well as Isabelle’s treacherous betrothed, Roderick (Stanley Tucci)—who has plans for the aforementioned giant-controlling crown. When they all arrive in giant country, we finally see these anonymous, crusty-faced CGI constructions whose faces resemble Easter Island heads. They’re just as indistinct as the hordes of unspecific orcs in Peter Jackson’s The Lord of the Rings trilogy or the goblins in The Hobbit: An Unexpected Journey. But then, at least interesting villains commanded those hordes. Here there’s only the two-headed General Fallon (voice of Bill Nighy), with one normal head and another, smaller, dimwitted head beside it for comic relief. Nighy’s voice alone differentiates Fallon from the other nose-picking, human head-chomping, farting, and grumbling bunch of giants, none of whom make an impression, despite names like Fee, Fye, Foe, and Fumm. Herein lies the innermost problem with Jack the Giant Slayer—the giants aren’t very interesting. These animated things have no more ambition than to ingest humans, which they consider to be a delicacy. Not one of them questions their role or becomes a sympathetic component in the story; they’re no more characterized than any number of zombies that go splat! each week on The Walking Dead. They’re present solely to kill and be killed, and the PG-13 violence stretches the rating’s limit with several moments where some poor human becomes a giant’s lunch. 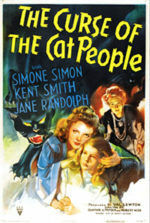 By comparison, the humans are slightly more interesting, but they’re still one-note characters pursuing basic desires. Jack wants nothing more than to experience adventure and eventually fall in love with Isabelle (and teens will relate to him because he’s wearing the Medieval version of hoodie, so says the marketing department). The princess wants to escape the rules of royalty, experience adventure, and choose her husband on her own terms. McShane plays the disapproving and protective father. McGregor plays Errol Flynn. And no one’s fate ever disappoints or veers off into unexpected directions. 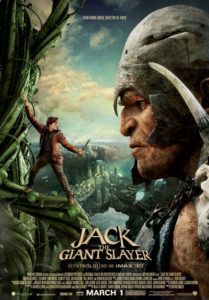 Nothing happens in Jack the Giant Slayer that isn’t a cliché. Mind you, everything onscreen (aside from the opening animation) serves its purpose well enough. Singer presents action scenes with clarity of space and movement, and his broadstroke human characters seem to matter to him, thinly drawn as they are. When the giants’ eventually plunge to the earth and raid the castle, it provides some thrills and suspense of the Ridley Scott epic variety, except without so much style. The whole experience feels like Ron Howard’s ho-hum fantasy Willow (1988), except not as good. In the end, the best that can be said about the film is that it’s diverting, particularly because of Singer’s human castmembers, yet also because the director knows how to deliver plain, comprehensible action entertainment. Plainness is not usually a quality to be commended, except of late, when so many modern filmmakers find it difficult to construct an intelligible action sequence. Even if the prevailing flavorlessness of everything onscreen leaves us feeling somewhat indifferent, Singer’s clear-cut presentation must be admired.